Check your car’s owner manual or come into Vinnies Auto and Truck to see the recommended interval for tune-ups. These services include inspecting and adjusting all of the systems in your vehicle that contributes to fuel combustion efficiency. Regular engine tune-ups bring power and efficiency back, lower emissions and improve fuel economy as part of your vehicle’s scheduled maintenance. For best gas mileage and engine performance, it needs clean fuel injectors, air filters, fuel filters and spark plugs in good condition. Take care of your engine, and it will start easier, run smoother and last longer. That`s why we visually inspect all of your engine components and recommend service based on the wear and mileage. 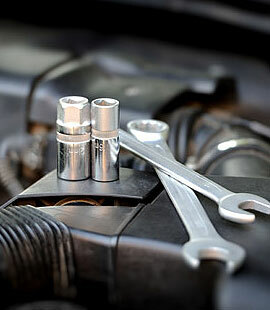 Following manufacturer recommendations for replacing filters, spark plugs and ignition components is a long-term investment in the health of your car. Trust the ASE–certified experts at Vinnies Auto and Truck, we promise that the tune-up services we perform will be done right, the first time. We guarantee it! Any recommendation from us comes with a thorough explanation, and we never do any work without a “go ahead” from our customers. We are dedicated to giving the best and most complete engine repair services available.